Software that is able to retrieve lost data from hard drive may be your only savior if you can’t afford to lost significant data. Envision a situation that you have been working on a design drawing for more than a week, and you go and attend a meeting for a while. When you come back and look at your computer, you find it black out. This might be that the system shuts down by itself. Naturally, you try to start it and yet computer stuck in the boot-up process. What if the deadline of the designing is tomorrow? Data loss from hard drive may due to various reasons, which can’t account for computer failure. Computer can’t boot may be caused by hard drive controller or just system failure, and hard drive recovery won’t solve such program. Therefore, you need to make out that the real reason, and here are common reasons giving rise to hard drive data loss. The solution to data loss scenario is hard drive recovery. 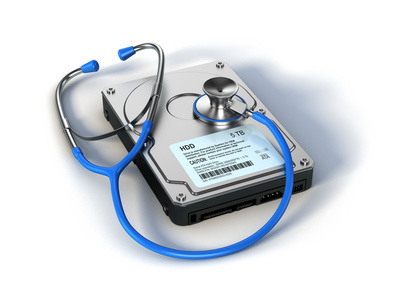 Affordable data recovery service is not available to many users. Those services claims effective and secure, and yet they charge high price and individuals can’t afford. Thus, an easy-to-use and cost-effective program that can restore lost data is demanded and satisfying. The problem is that users can’t find out which software will work for their needs. So you can try a couple of programs and choose the best one. 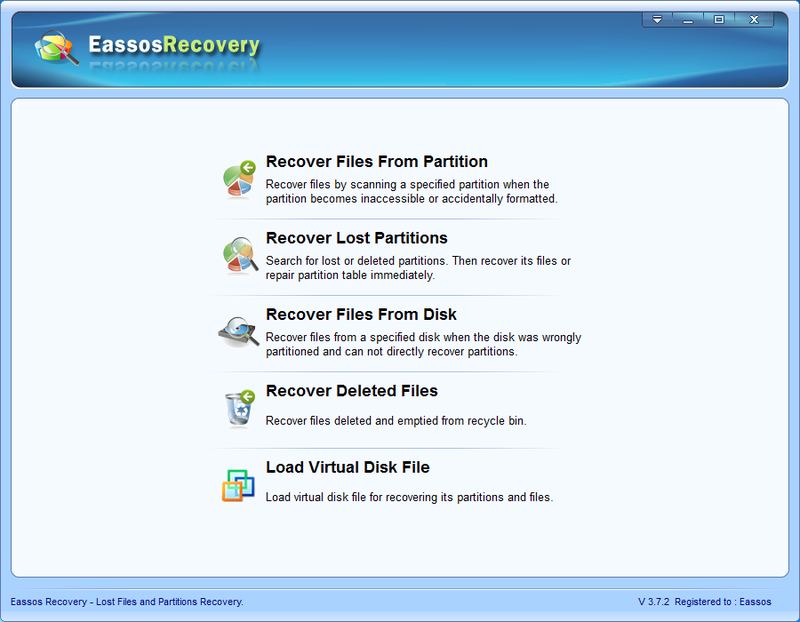 Some qualified recovery software such as Eassos Recovery is able to be used on personal computer, workstation and laptop data recovery. Software can be downloaded online and perform file recovery or partition recovery in no time, and no data or information will be leaked. 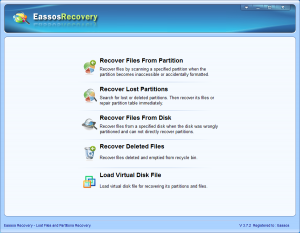 Besides, data recovery also can recover data from RAID, database and virtual disks. All recovery operations carried out by recovery applications are read-only and nothing will be done on original files. 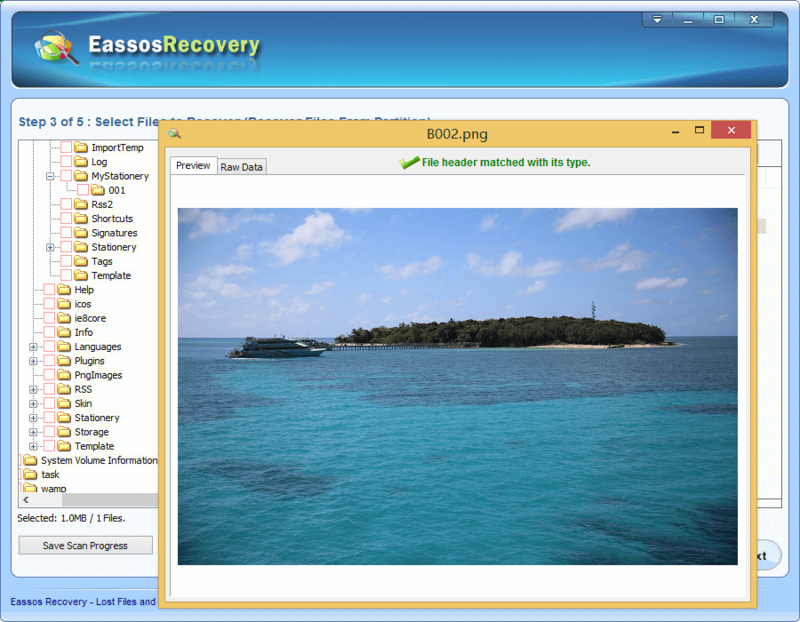 Eassos Recovery will scan the problem hard drive and analyze lost data, and then show data on its interface for preview. Deleted and formatted files can be retrieved by correct recovery mode. 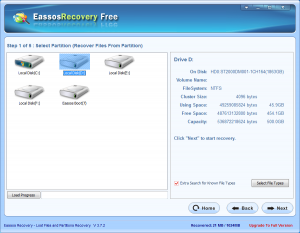 The following part is step-by-step guide for hard drive recovery. 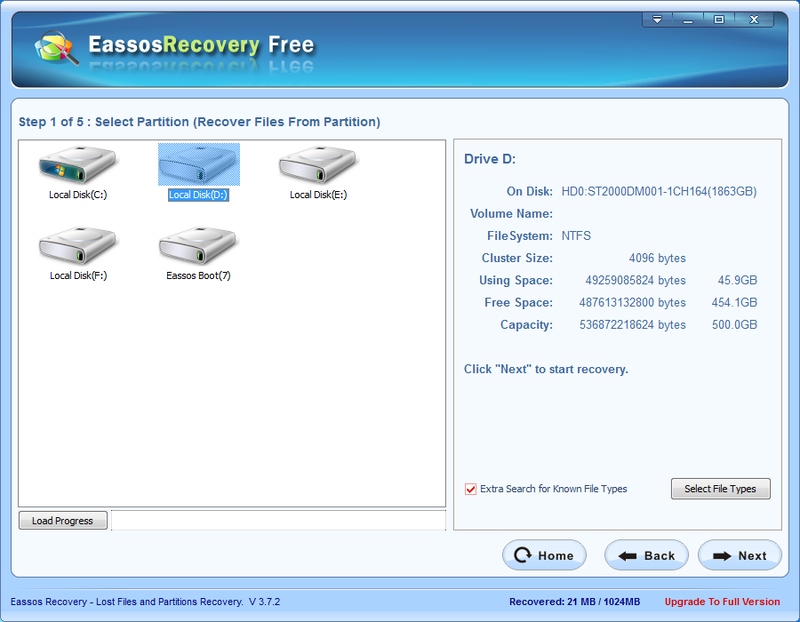 Free download and install this free hard drive recovery software. To guarantee satisfactory recovery result, you can’t save the setup or install it to the partition where lost data was stored. Start the program and select suitable function for file scanning. Select the partition or hard drive and click “Next” button to scan lost files. Preview files and recovery. Select files you want and get them recovered by copying them to a secure location. 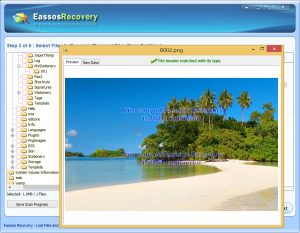 This entry was posted in Data Recovery and tagged eassos hard drive data recovery, file recovery, free hard drive recovery software, hard drive recovery by EASSOS. Bookmark the permalink.